Nominations are open for the best event destination categories for this year's C&IT Awards - the definitive awards for the B2B events industry. C&IT is once again asking readers to nominate the city, resort or destination that best delivers for events in two categories: Best Short-haul Events Destination and Best Mid- to Long-Haul Events Destination. 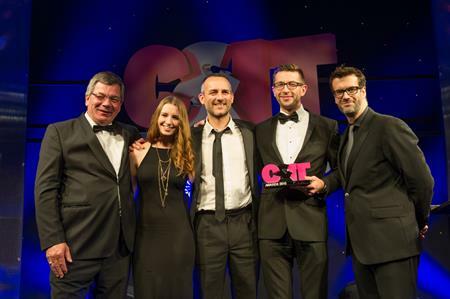 The categories are open to all destinations and winners will be decided by C&IT readers, with votes cast both online prior to the awards ceremony and on the night. The ceremony takes place on Friday 23September at London Hilton on Park Lane. London was crowned Best Short-haul Destination at the 2015 C&IT Awards, beating off strong competition from the likes of Rotterdam and The Hague and Barcelona, while Dubai picked up the gong for Best Mid- to Long-Haul Destination. The categories are free to enter and destinations that want to register their interest to be on the long list, or event planners that want to nominate the destinations that delivered their best events, can do so here. The short-haul category is open to all destinations under four hours' flight time from the UK (including all UK domestic cities), while the mid- to long-haul category is open to destinations with a flight time of more than four hours. The long list will be open for voting in August, with a shortlist announced in early September. Readers can then vote on the shortlist online, with votes also cast at the awards ceremony added to these to decide the overall winners on the night. The deadline for nominations is Friday 5th August. C&IT Awards 2017: Best Destination shortlists - last chance to vote!